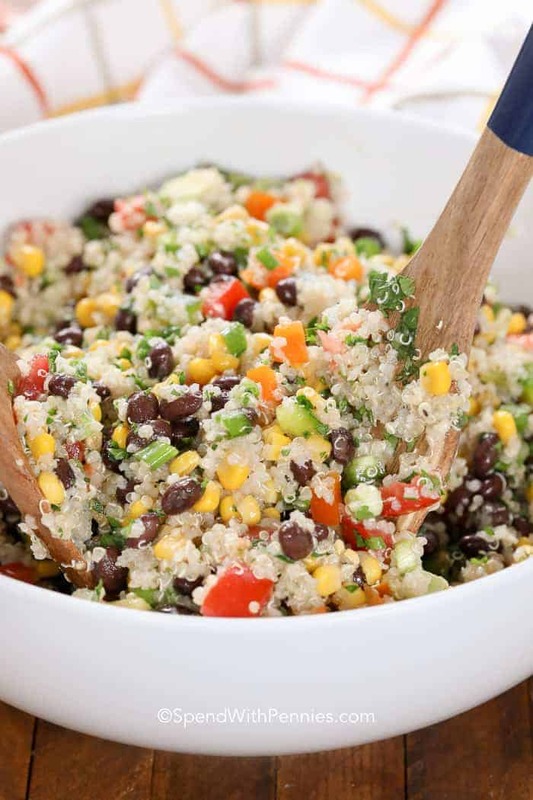 Black Bean Quinoa Salad is an easy fresh salad that can be enjoyed as a meal or a side! 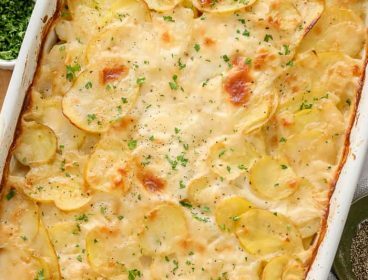 Deliciously simple, full of fresh veggies and loaded with flavor, this is the perfect easy lunch or dinner. 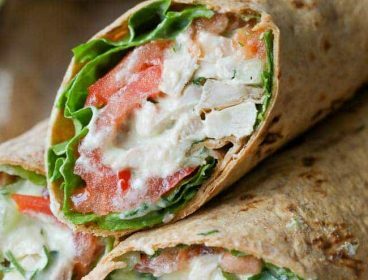 We sometimes add in grilled chicken or even leftover taco meat if we have it (and top it with a dollop of sour cream and salsa). I’ve been serving Cowboy Caviar at parties pretty much forever. 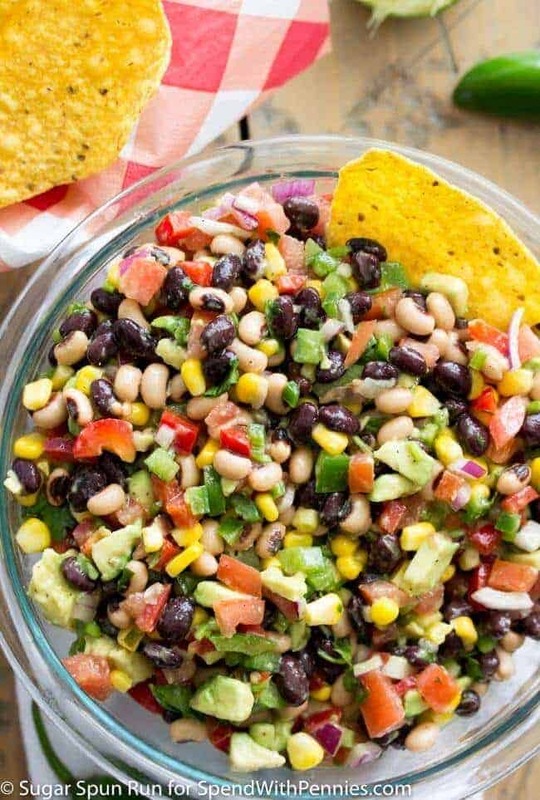 Cowboy Caviar is one dish everyone raves about and it’s pretty healthy (if you don’t count the tortilla chips because it’s all about balance over here). I know how well loved my Cowboy Caviar recipe is and I really wanted to find a way to turn it into a complete meal (because really, I just want to eat it with a spoon). With just a few simple tweaks to the dressing and and the addition of quinoa, this Black Bean Quinoa Salad was born! 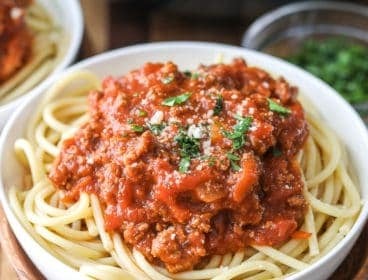 The best part is that it’s SO easy to make! A simple combination of fresh vegetables, black beans, corn and quinoa in a zesty lime dressing makes this the perfect weekday meal! If you’ve never made quinoa before, it’s easy to make (you can find out how to cook perfect quinoa here). It’s similar to rice but I find it cooks up a bit quicker. 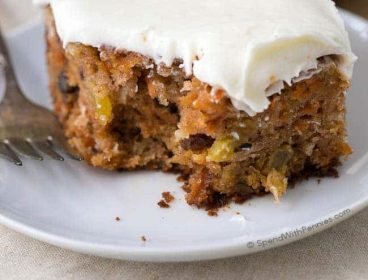 Quinoa is so versatile! It can be served warm or cold, served by itself or incorporated into a dish in place of rice. 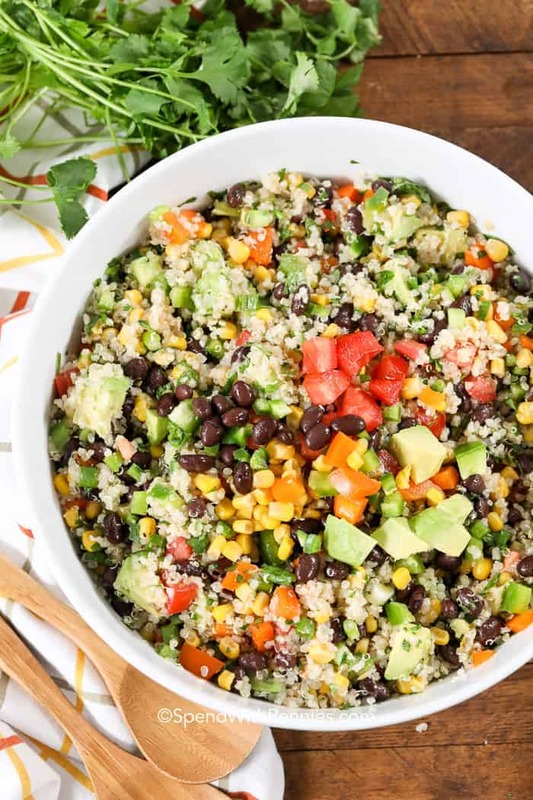 This salad could not be easier to make, you’ll definitely LOVE this amazing Southwestern inspired Black Bean Quinoa Salad. Crisp veggies, beans, and avocado tossed with a light and zingy lime dressing and protein rich quinoa. 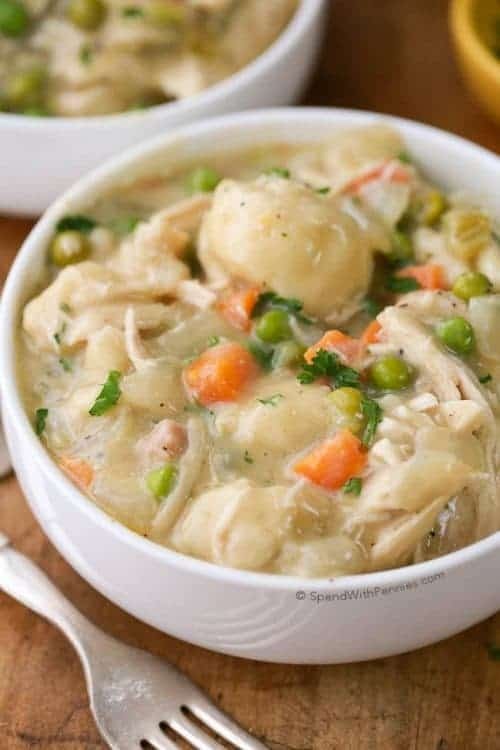 This a complete meal in a single bowl and it can be prepped ahead of time & enjoyed for days making it the perfect lunch recipe! 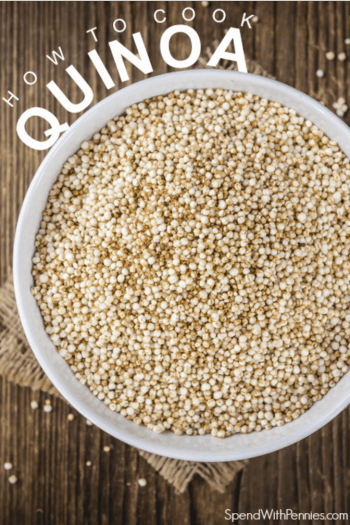 Quinoa is a superfood for its amazing health benefits and while we generally think of this seed as a grain, it’s the perfect healthy carb to incorporate into our diet! Adding quinoa to your menu is a great way to add extra protein in your meals (making it the perfect meatless Monday choice). 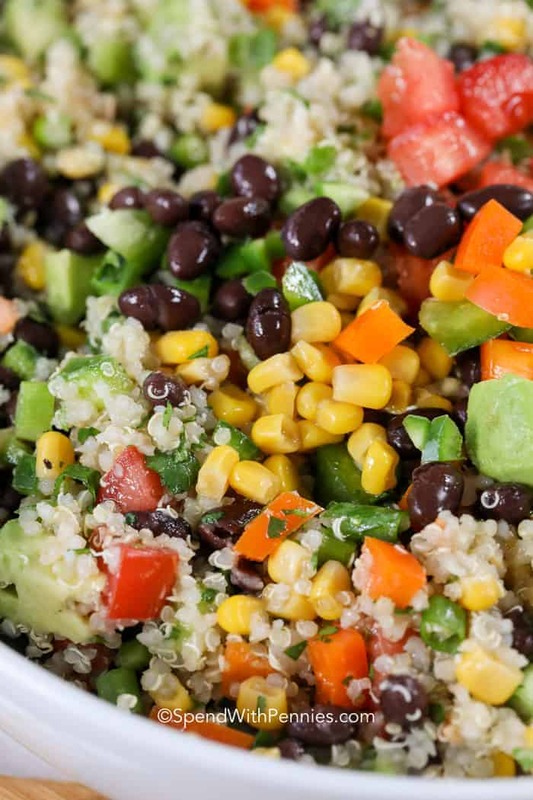 While I add my favorite Mexican inspired veggies, you can swap up this Black Bean Quinoa salad by adding in your favorites (or whatever you have in the fridge). If you happen to have leftover tacos & fixings or leftover fajita fillings, they all make great additions. 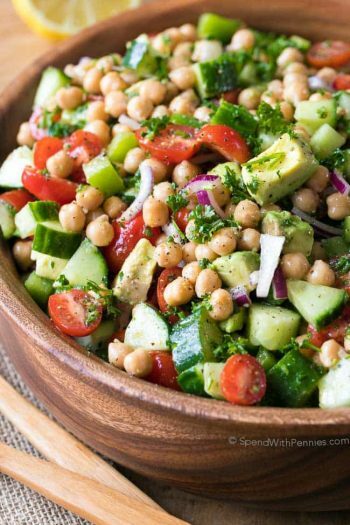 I’ve also subbed chickpeas for black beans in this easy salad since I love Chickpea Salad so much! 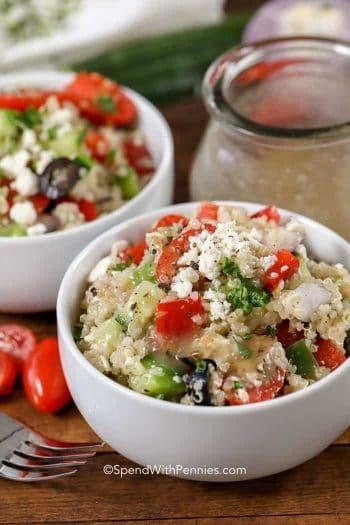 This quinoa salad recipe is created with a quick and easy homemade lime dressing. You can most certainly use your favorite store bought dressing (red wine vinegar dressing is a good choice). DO NOT USE Extra Virgin Olive Oil. 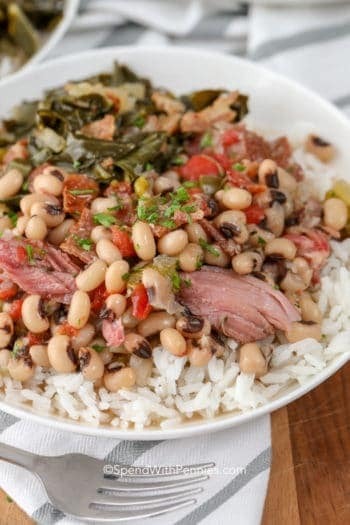 The bitter flavor (which I normally welcome in most dishes), does not blend well in this recipe. 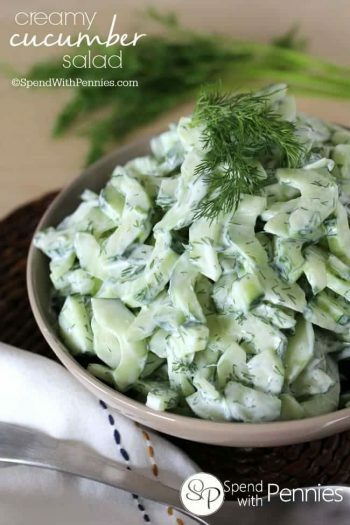 The dressing is intended to be light and fresh in this recipe, if you prefer a heavily dressed salad, you may like to add more dressing. 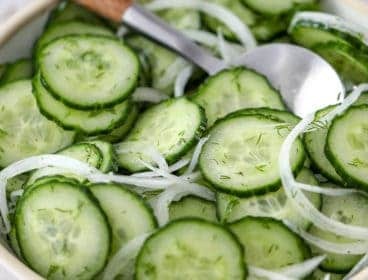 Use fresh lime juice. A fresh lime costs about $0.50 and is worth it’s weight in gold flavor wise. (Taste the two side by side and I promise you’ll never buy bottled lime juice again). 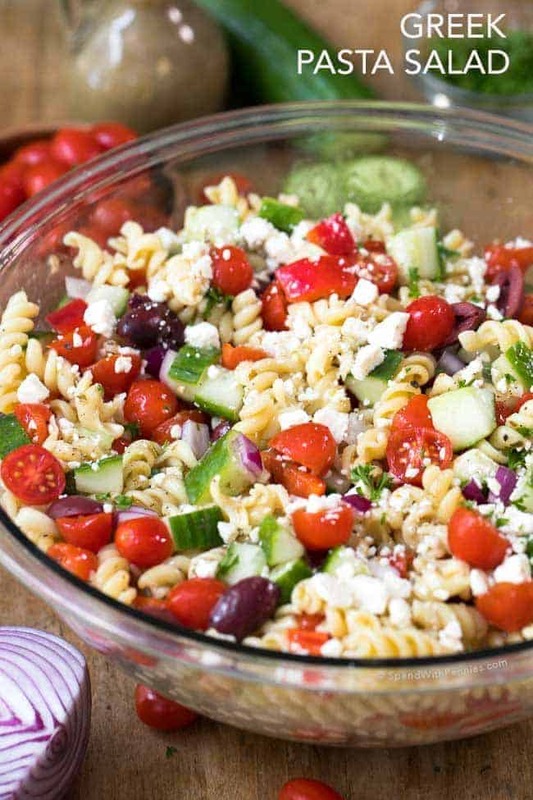 The salad will soak in the dressing as it sits so you may need to add more or less depending on time. Cook your quinoa in broth (instead of water) for extra flavor. I most often serve this black bean quinoa salad as lunch or a side however it makes a great meatless main. 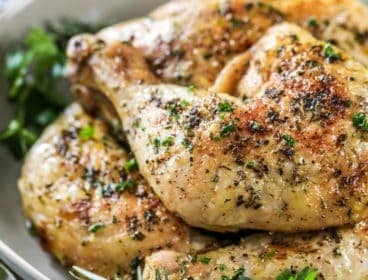 If you happen to have leftover taco meat or grilled chicken, they are perfect added to this recipe! 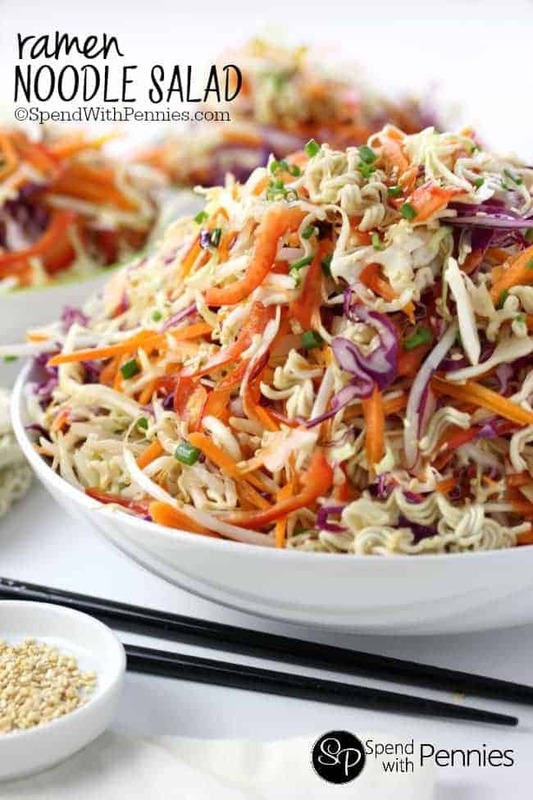 Deliciously simple, full of fresh veggies all tossed in a zesty lime dressing, this is the perfect easy lunch or dinner. 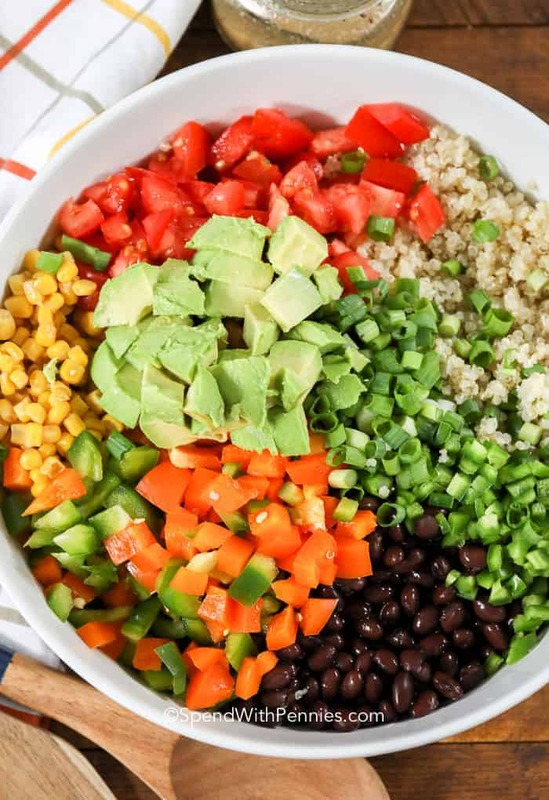 Combine quinoa, tomatoes, avocado, black beans, corn, bell pepper, green onion, jalapeno and cilantro in a large bowl. 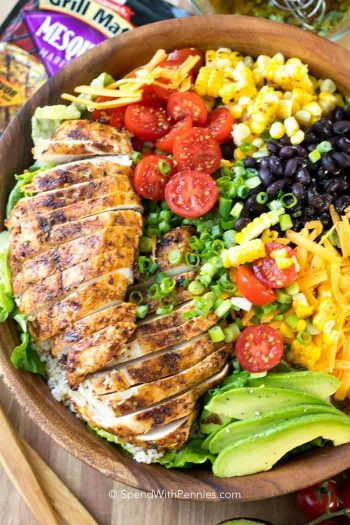 In a small bowl, combine all dressing ingredients and mix well. Pour over vegetables and toss to coat. Add quinoa and combine.